Totally not cool or funny. Another day, another internet video. Nothing new, right? Wrong. Although admittedly we all enjoy a variety of videos—whether they're centered on funny pranks or beauty tutorials—who knew that these two would work well together. Case in point: This video, which has gone viral for all the wrong reasons. Joey & Tanisha is a YouTube channel that features real life couple Joseph Saladino and Tanisha Coetzee. Since joining the world of vlogging in 2014, they have become notorious for their so-called "prank videos" of items being destroyed—their apparent lack of props suggesting that these items are actually defaced. So what happens when a prank video meets a makeup video? You're right—they don't just meet. Instead, they clash in a field of epic proportions. 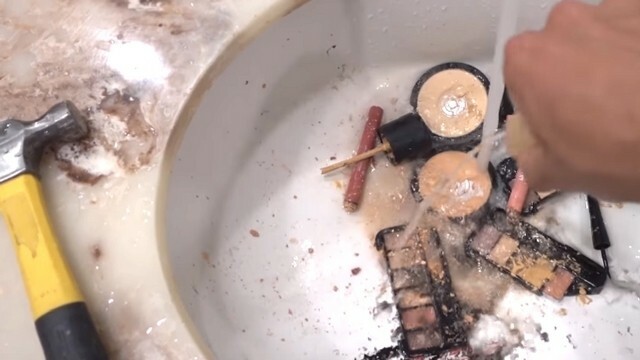 One of their videos posted last May 9 entitled Destroying GF's Makeup prank, showed Joey armed with a hammer, crushing his girlfriend's makeup kit into pieces while she is away. He is shown squirting out various tubes of foundation and eye products into their sink as well as wasting lipstick by using it to scribble 'I Love You' on their home's bathroom mirror a la Selena Gomez' "Bad Liar" teaser. When his girlfriend finally finds out, she berates him only slightly for ruining her things. To that, Joey defends his actions, stating that he was only doing it out of his "love for her." This isn't the first time that Joey has caused controversy, though. 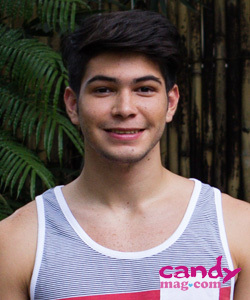 In addition to his pranks, the vlogger is also known for his stunt videos. Joey has already attracted much backlash in the past on two similar occasions: first, when he drove a Trump sticker-emblazoned car into a black neighborhood and another when he paraded around New York last January wearing a "Make America Great Again" shirt. Claiming that the entire ordeal was merely a "social experiment," the videos show countless people vandalizing his vehicle and hurling insults at him, thus cementing his status as a viral videographer. Another recent video shows Joey destroying Tanisha's laptop with a hammer, only to find out that he accidentally smashed his own MacBook, not that of his girlfriend. As girls, we can't help, but cringe while watching the makeup destruction video. We think: "OMG, imagine all that beautiful and expensive makeup wasted—sayang, sana ours nalang!" But that isn't the true problem here. The root of the issue is how several people are defending Joey's actions, since everything—despite evidence that is to the contrary—has been faked or deliberately staged to garner more attention and glean ad money. Whether these videos were truly staged or not, glorifying abuse and/or destruction of property is never good. And despite claims that the entire thing was faked, it's disappointing to see that this is what's being done to amuse our generation today. It's disappointing to see that this is what's being done to amuse our generation today. Not only does it promote rude and wasteful behavior, but it also contains misogynistic undertones, since it's almost always Joey abusing his girlfriend's kindness. Plus, with millions of people falling into poverty all over the world, deriving "humor" for the sake of being virally popular or earning money is an example of sheer ingratitude. 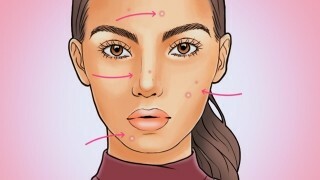 So Candy Girls, let's not stop at learning on how to keep our makeup safe from our boyfriends or trying to stay away from disrespectful guys (since we obviously deserve better!). Let's also learn how to become more self-aware in order to improve our generation. After all, it might just be the one thing that could make or break not just our beauty games, but our future, too. How does this video make you feel, Candy Girls? Leave a response down below or share it with a friend!